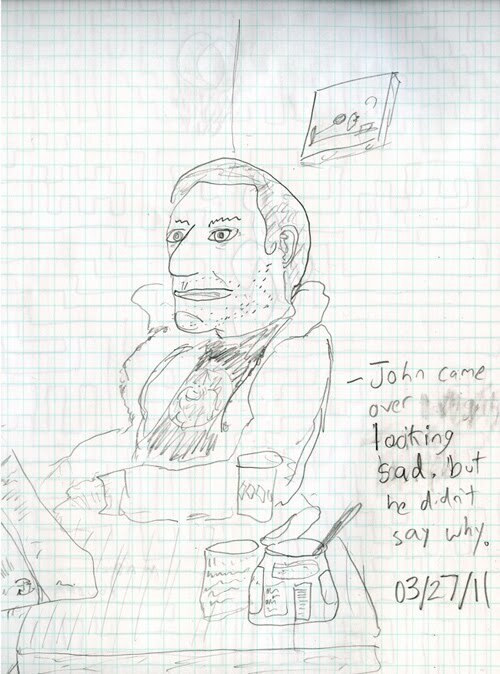 John, our English houseguest, makes beautifully dry, yet funny comics about awkward mutants/humans in some far off galaxy. Anyways he is one of most relaxed, laid back, and funny people that I have met since I moved to Tokyo, and I owe him a lot because he helped keep everyone in my house calm after the quake with his jokes... but for some reason today, he looked sad which was rather unusual; even though he said he was just tired, we all knew it had something to do with his girlfriend... It felt like there was an elephant in the room which we couldn't speak of. 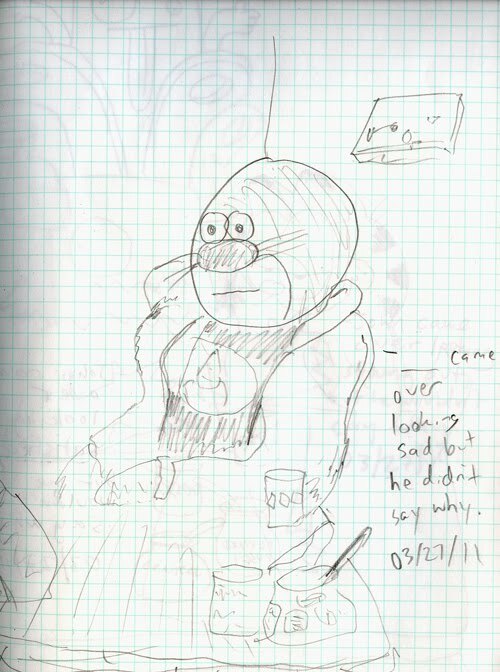 Secretly, in his sketchbook, while he was chatting with my roommates, I tried to draw that silly elephant hoping to return the favor which I owed him.